High Point Chiropractic is here to provide everyone in our community with safe, natural chiropractic care. We love seeing expecting moms and kids come in, knowing that we’re helping them enjoy greater well-being and overall health. Aligning the pelvis helps for optimal delivery of your baby. Some may seek chiropractic care during pregnancy for discomfort or pain. What we do, however, goes far beyond managing your pain. Our chiropractors are well-versed in the Webster Technique, which is a method designed to help you and your baby. The health of your baby can depend on the structure of your pelvis. All the nerves that go to your uterus and the organs that help the baby grow must be functioning properly. 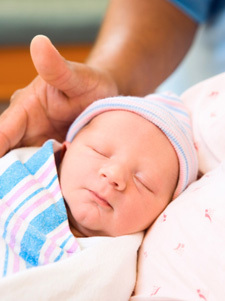 Chiropractic care can be an incredible help when it comes to labor and delivery outcomes. Women under chiropractic care during pregnancy usually have shorter and more productive labor and delivery than women who don’t seek care. Once your baby is born, we can provide a checkup to make sure the birthing process hasn’t caused any trauma to your newborn. Checking that their spine and nervous system are functioning properly from an early age is vital to their health. Any traumas can be addressed and corrected, allowing your baby to grow as their body undergoes changes. Children and babies don’t need to be checked as often as adults. They may not need an adjustment every time, but we would be doing a disservice to our children if we didn’t give them the chance to get checked. We’ll make sure everything is going well and that they’re able to be active and healthy up through adulthood. Kids today spend more time sitting than running around and playing. They’re staring at electronic devices with their neck flexed. They might not get the best nutrition, start sports at younger ages and receive more vaccines than in years past. All of these factors cause physical, chemical, mental and emotional stress that affect the nervous system. Their exposure to stress is continuous, and their nervous systems aren’t fully developed until age six. We educate parents while giving your children regular checks so that you have the power to influence how your child is growing. You’ll learn about the structure and function of the human body and have the ability to profoundly impact the health of your entire family. Let us help enhance your family’s life. Contact us today for an appointment!